Sadly we didn’t quite reach our targeted goal amount for the Indiegogo campaign, but we are not going to give up on bringing KOOV to the US. We truly believe in the importance of STEM education and feel KOOV is a great tool to teach coding and robotics in a fun and innovative way. Our team is going to take the feedback we have received as well as the insights that we have learned from this campaign to make KOOV even better. If all goes well, we aim to be able to bring KOOV to the US in 2018, so please continue to follow us for updates and news. KOOV has just launched in the USA on crowdfunding platform Indiegogo. After a successful release in China and Japan, this launch is aimed not just at bringing KOOV to the USA, but to use Indiegogo as a way to gain feedback from future KOOV users to make a great product even better. People who back KOOV on Indiegogo can also be sure to be the first people in the United States to get the kit and at a discount from the full retail price. KOOV is the next generation of coding, design and robotics kits – a comprehensive solution for STEAM education. 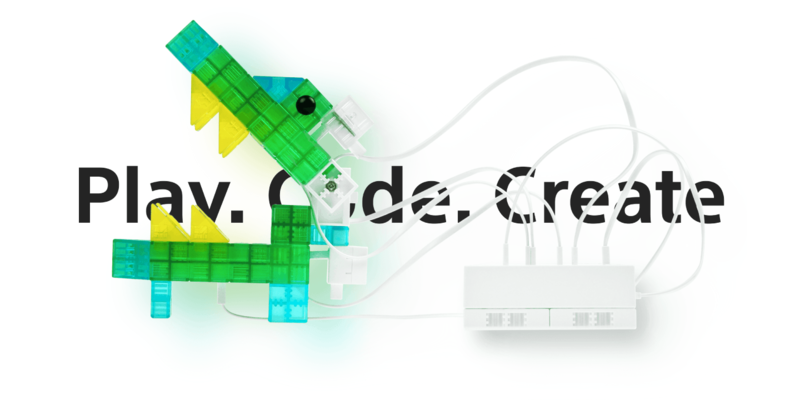 KOOV comes with hundreds of building blocks, sensors and actuators, 24 Sony designed ready-to-build Robot Recipes, a social sharing space and 30+ hours of educational content focussing on coding and design. All in one box. Jump over to our Indiegogo page for the full lowdown. Indiegogo is the largest global platform for innovators to bring their ideas from concept to market with support from passionate supporters worldwide. For more information, visit Indiegogo.com. Why is Sony releasing KOOV on Indiegogo? Prior to launching at scale, Sony’s KOOV team is looking to work with parents to gain feedback to make KOOV is the best it can be. Already, thousands of children across Japan & China are using KOOV – but we want to learn from the parents and children of the USA to make a great product even better.